Born on 9th October 1964. Lives in Jakarta, Indonesia. Adrian Erlangga earned his Master of Business Administration from Golden State University, San Fransisco, USA, in 1993 and Bachelor of Law from Padjajaran University, Bandung, Indonesia, in 1989. His career, among others, are as Finance Director of PT Trada Maritime, Tbk. (2008 – 2012), Vice President of PT Pasifik Satelit Nusantara (2011 – 2008). Member of the Board & Chief Advisor of ACES International Ltd. (2006 – 2009), and became a member of the Board of Commissioners of PT CKB Logistics since April 14, 2015. He is currently serving as Finance Director of PT ABM Investama Tbk. Since May 2014 and reappointed on May 31, 2015. Born on 2nd September 1960. Lives in Jakarta, Indonesia. First served as Commissioner of CKB Logistics on 20 May 2016. 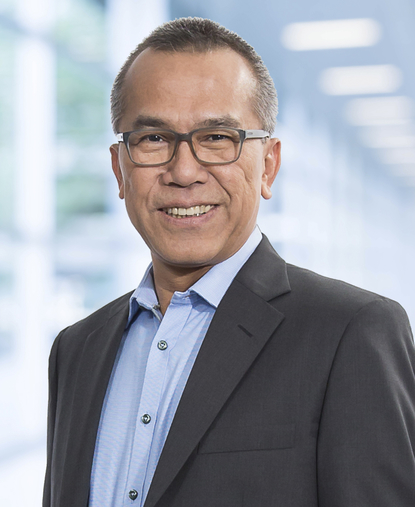 Syahnan Poerba holds a Bachelor degree in Accounting from Faculty of Economics, University of Indonesia, Jakarta, Indonesia, in 1986 and a Master of Economics in Accounting and Finance from Macquarie University, Sydney, Australia, in 1992. 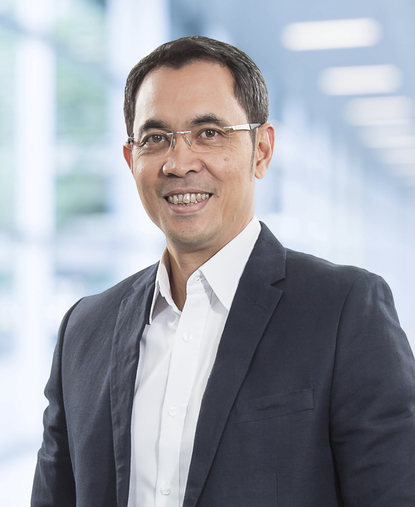 Syahnan Poerba’s career includes Country Manager of PT D & B (Dun & Bradstreet) Indonesia (2007 – 2009), Director of Operations of PT AXA Mandiri Financial Services (2004 – 2007), Director and Chief Financial Officer of John Hancock Indonesia (2000 – 2004), and become a member of the Board of Commissioners of PT CKB Logistics since April 14, 2015. Currently still serves as Director of Corporate Support Services of PTABM Investama Tbk. Since November 2009 and and reappointed on May 31, 2015. Born on 14th July 1971, lives in Jakarta, Indonesia. First served as President Director of CKB Logistics on 1 April 2014. Iman Sjafei holds a Bachelor of Science in Industrial and Operations Engineering from the University of Michigan, Rackham Graduate School, Michigan, USA, in 1994 and Master of Science in Engineering (Industrial and Operations Engineering) from the University of Michigan, College of Engineering - Ann Arbor, Michigan, United States, in 1995. Iman Sjafei's career includes Regional Process Excellence Director of Unilever Asia Pte. Ltd. (2010-2012), ERP Program Director Unilever Indonesia (2007-2010), Unilever Indonesia Logistics Director (2003-2006), ERP Project - Process Leader Outbound Area Unilever Indonesia (2001-2003), Customer Service MT Manager Unilever Indonesia (2000 -2001), Unilever Indonesia Distribution Planner (1998-1999), and Business Process Improvement Manager at Unilever Indonesia (1996-1998). Indonesia Citizen, 42 years old, born on 10 March 1976. 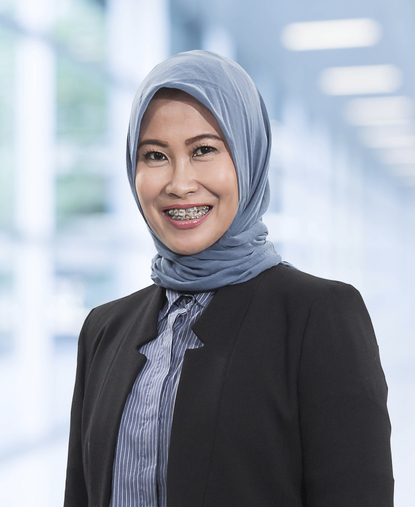 Earned her Bachelor Degree of Air Transport Management from Trisakti Univeristy in 2001 and Master of Management with majoring in Risk Management from PPM Management in 2017. Ety Puspitasari served as Business Director Logistics & Distribution of CKB Logistics on 01 January 2018 based on Decree of Shareholders as stated in Deed No. 16 and received and recorded in the Ministry of Law and Human Rights of the Republic of Indonesia with letter number AHU-AH.01.03-0006687. Her career, among others are Chief Operating Officer Freight & Transport (2015 – 2018), General Manager Integrated Logistics Solution & Warehouse (2013 – 2015), Senior Operation Manager (2009 – 2013), Eksport Import Manager (2006 – 2009) of CKB Logistics ; UPS Brokerage Departement Head of PT UPS Cardig Int’l (Cardig International Group) (2001 – 2006); dan Customer Service Supervisor of PT Cardig Express Nusantara (Cardig International Group) (1998 – 2001). Indonesia Citizen, 42 years old. 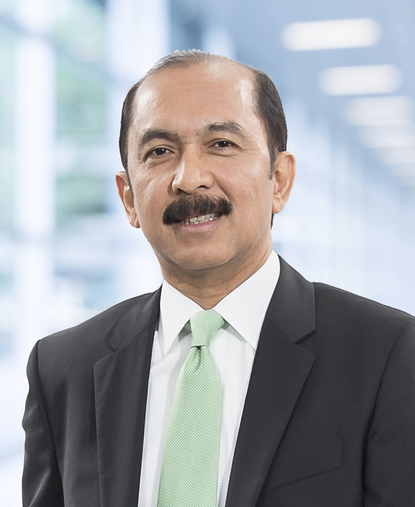 Earned his Bachelor Degree in Engineering from Trisakti University Jakarta in 1998 and Master of Management degree from PPM Jakarta in 2001. Satrio Daru Sasongko serves as Director of PT Cipta Krida Bahari on 1 January 2018 based on Decree of Shareholders as stated in Deed No. 19 dated 5 January 2018. 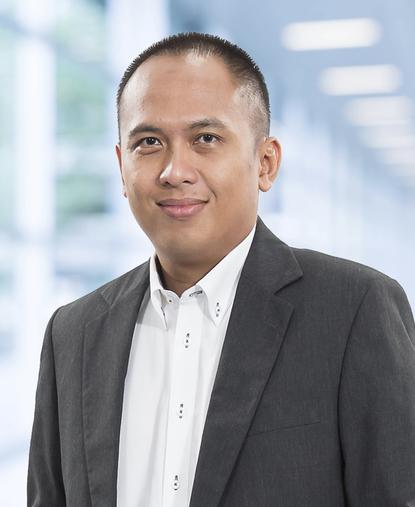 Satrio Daru Sasongko's career includes; Chief Operating Officer of PT Prima Wiguna Parama (March 2017 - December 2017), Chief Operating Officer of PT Dianta Daya Embara (February 2017 - December 2017), General Manager-Head of Transformation & Growth PT ABM Investama Tbk. (May 2016 - December 2017), General Manager-Head of Business Development of PT ABM Investama Tbk. (January 2016 - April 2016), Director of PT Alfa Trans Raya (January 2011 - December 2015), Chief Strategy Officer of PT Cipta Krida Bahari (July 2014 - November 2017), Director of PT Baruna Dirga Dharma (May 2011 - November 2014), Deputy General Manager of PT Alfa Trans Raya (November 2009 - December 2010), Business Development Manager of PT Alfa Trans Raya (October 2008 - October 2009) and General Manager - Marketing and Business Development of PT Samudera Shipping Services (March 2001 - October 2008).